Remember, you can get our LarsenGeekery Gear anytime between shows by visiting our Store Page. Bellingham ComiCon 12 Is a Wrap! 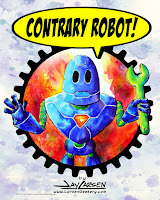 2016 All Rights Reserved by Evelyn & Jay Larsen: Now at ContraryRobot.com join us there!